The textile industry impacts the environment in a number of ways, including its use of resources, its impact on global warming, and the amount of pollution and waste it generates. Assessing the Environmental Impact of Textiles and the Clothing Supply Chain reviews methods used to calculate this environmental impact, including product carbon footprints (PCFs), ecological footprints (EFs), and life cycle assessment (LCA). 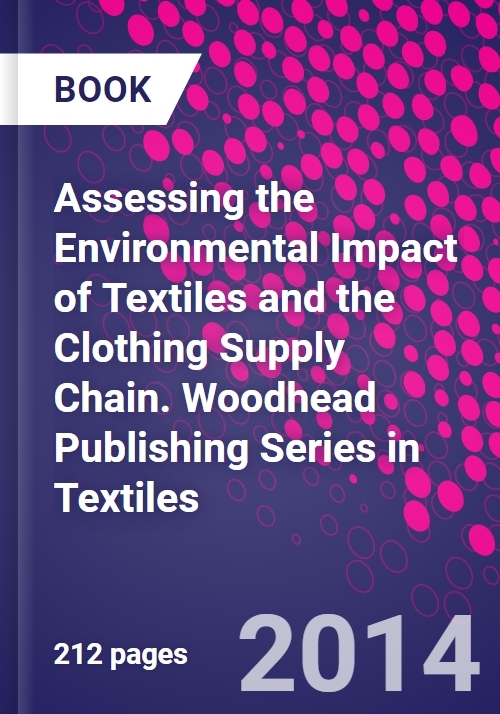 The first chapters provide an introduction to the textile supply chain and its environmental impact, and an overview of the methods used to measure this impact. The book goes on to consider different environmental impacts of the industry, including greenhouse gas emissions, the water and energy footprints of the industry, and depletion of resources, as well as the use of LCA to assess the overall environmental impact of the textile industry. It then deals with the practice of measuring these impacts before forming a conclusion about the environmental impact of the industry. Assessing the Environmental Impact of Textiles and the Clothing Supply Chain provides a standard reference for R&D managers in the textile industry and academic researchers in textile science. Subramanian Senthilkannan Muthu is Eco-Design Consultant at SGS Hong Kong Limited. He completed his doctoral research study at the Institute of Textiles and Clothing, The Hong Kong Polytechnic University.